Even if you’re in great shape you still have to manage blood volume during the HUMM. We all know that our hearts pump blood to our muscles and brain. Blood carries oxygen and nutrients to critical systems and scavenges CO2 and other byproducts of oxidation. If blood flow is reduced we will not be as strong, we may over-heat and we will not think at full potential. If we want to be at the top of our game we MUST manage blood volume. So how do we do that? The simple answer is keep drinking. If you want to ride all day, drink all day. 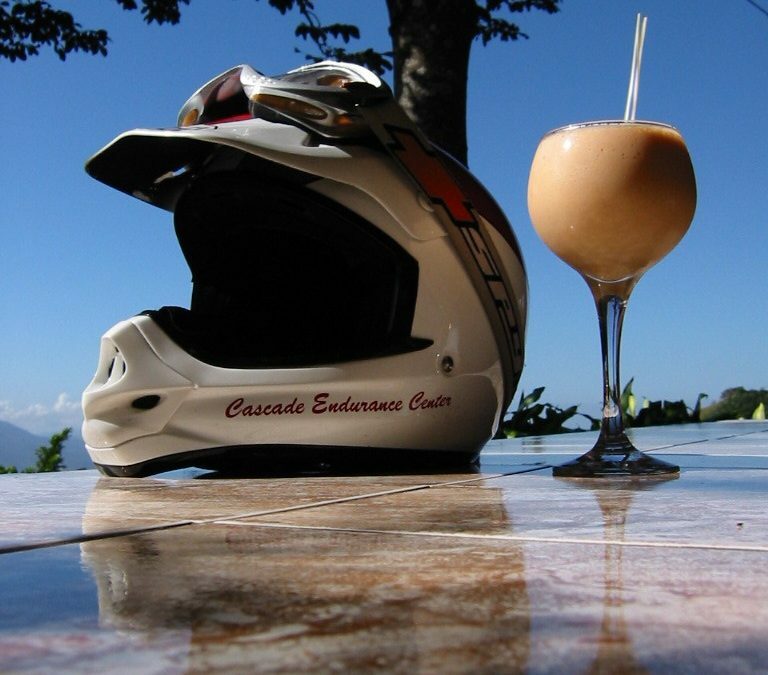 Not just a gas or rest stops– drink on the bike. There are all kinds of drink systems with drinking tubes in the helmet that can be used while moving. How much is enough? As a rule, if you feel the need to go to the bathroom– but can hold it– your hydration is just about right. To test your level of hydration look at your LEFT thumb and notice the color under the nail. Now squeeze the LEFT nail with your right thumb and pointer finger. Hold the pinch for a 10 seconds and then release. Notice your left nail is white because the blood was been squeezed out under the nail. Count the number of seconds it takes for the nail to return to its normal color. This is called capillary refill time. When you are dehydrated, your cap refill time will increase. If it goes to two or three seconds you are dehydrated. Your goal is instantaneous refill the entire time you are on the bike. Speaking of something to drink– Remember This Rule: For every high there is an equal and corresponding low. Stay away from or at least cut-back on caffeine, sugar and alcohol during the HUMM. As for sport drinks they are better than nothing in that they usually have some electrolytes in them. But they often have a sucrose or futrose sugar base. They will give you a short sugar high and then dump you. A better way to go is one of the electrolytes and carbohydrate mixes available from a good bicycle shop. These mixes are in powder form and can be easily divided into backpack bladder-amount baggies for easy mixing. But keep the original package with you. I once had divided the white electrolyte powder into individual zip-lock baggies for a BAJA1000 and a US border guard thought he had a drug bust on his hands. He changed his mind after tasting it though– lucky for me.